The identity of the individual or individuals for whom this work was done remains unknown. 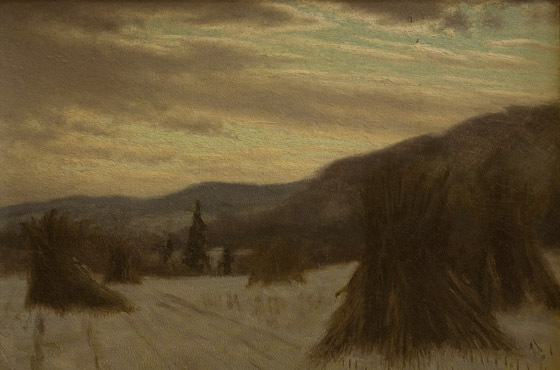 This winter landscape set in Bucks County seems to foreshadow the work of the Bucks County impressionists of which Trego’s student and protégé, Walter Baum, would be a prominent member. It is one of several snow scenes Trego is known to have done in his last years. Doylestown, Pennsylvania, James A. Michener Art Museum, June 3-Oct 2, 2011: "So Bravely and So Well: The Life and Art of William T. Trego." The painting is in excellent condition.